We can hardly wait to buy a self-driving car—the first Central and Eastern European opinion poll of IBM has been completed on artificial intelligence. 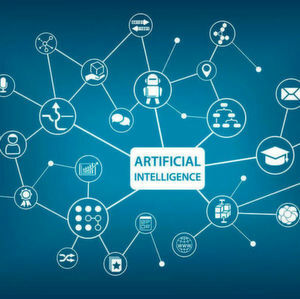 According to a recent research conducted by the company NMS Market Researchupon the appointment of IBM, nine out of ten people in Central and Eastern Europe have heard about artificial intelligence (AI). 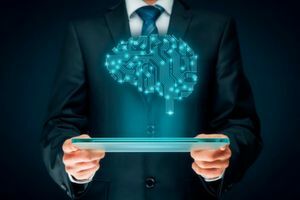 Although not everyone was able to remember an example of using an AI application, 80 % of those asked expect to see a wider proliferation of this technology. The research examined the opinion of people about artificial intelligence in the Czech Republic, Hungary, Poland and Russia. According to the results, most people have a positive view of innovations involving AI. Hungarians and Russians were found to be the most open. Residents of the region have high hopes of artificial intelligence. According to the survey, 63 % of Russians and Hungarians, 56 % of Czechs, and 53 % of Poles trust in AI. Research data indicates that most of those living in the region are happy to see innovations featuring AI. 80 % of people in Russia, and 70 % of people in other countries are optimistic regarding this topic. Most of those asked expect that this technology will become much more widespread during the next three years. “The countries of Central and Eastern Europe have undergone extraordinary development during the past 30 years. Societies of the region are open to innovation and new experiences. 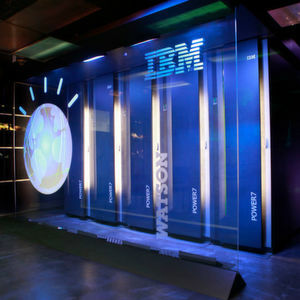 At IBM, we believe that new AI technologies will make the enterprises of the region more innovative, will lead to the adoption of new economic models, will provide economic incentives, and create new markets”, said Antonio Muttoni, Central and Eastern European director of IBM. In addition to examining people’s attitude to artificial intelligence, the research also examined what was expected of this technology’s development. According to Hungarian, Poles and Russians, AI will primarily be useful in electronics, while the Czech people believe that it will primarily be used in health care. However, citizens of all four countries agreed that artificial intelligence will be a useful tool in the hands of doctors and will help them to decided when it comes to selecting the best treatment. According to the poll, artificial intelligence will play an important role in the automobile industry. Over half of Hungarians expect self-driving cars to be widely available. Nearly half of Russians have a similar opinion regarding this question, while one third of Poles and Czech are of the same opinion. The research also highlighted that according to the Czech people, artificial intelligence can even be useful in traffic control. In addition to expecting the proliferation of self-driving cars, Hungarians are also looking forward to it: 72 % would be happy to purchase a vehicle controlled by AI in the future. This opinion is mainly popular amongst men, 79 % of whom would buy a self-driving car, but this proportion is also close to two-third of the asked women. Eight out of ten of our compatriots would as well leave the selection of the best route to artificial intelligence, while over half of those asked would involve this technology in the evaluation of traffic violations. We would accept robots as surgeons, but would not trust in robot soldiers. Nearly half of Hungarians would undergo surgery performed by an AI controlled robot (this ratio is 54 % for men and 36% for women). However, only 6 % would be happy to see this technology in warfare. According to two out of three of our compatriots, intelligent robots might be good partners for lonely elderly people. Those in the age range of 55 to 65 are the least enthusiastic about this, but even in this age group, more than half of the people considers this as a good idea. According to most Hungarians, AI makes work more effective, eliminates routine tasks, increases the level of services, mitigates traffic jams, and also simplifies travel and housework. Less jobs and the danger of hacker attempts were mentioned as the other side of the coin. However, barely 23% specifically mentioned artificial intelligence as a serious threat. NMS Market Research performed the poll in the Czech Republic, Hungary, Poland and Russia using a sample of 2035 people aged 18 to 65 between September 19th and October 1st, 2018. The sample is representative of the adult population, who were asked after education (elementary, middle level, higher level) and residence (regions).